More than 1 million individual, business and government computers have been hit by malicious malware that holds their files hostage until they pay a hefty ransom. Businesses can prevent cyber-bullies from stealing their precious data with two old-fashioned techniques: Avoiding unsolicited, suspicious emails, PDF files and websites and keeping two back-ups on an external hard drive or with an off-site system. CryptoWall is one of the latest variations of sophisticated extortion malware, according to a recent New York Times essay, “How My Mom Got Hacked.” In that article, computer files belonging to the essayist’s mother were taken hostage for $500. To make matters worse, the hackers only accept Bitcoins, a type of digital currency that’s not backed by any central bank or government and that’s difficult to obtain. Classified as a Trojan Horse, CryptoWall typically infects computers as part of an e-mail “phishing” attack, malicious PDF files, malicious websites or malicious advertising. Once installed on your computer, it swiftly encrypts your files, making them inaccessible unless you pay the ransom. While sophisticated malware can bypass many antivirus programs, it’s still very important to have strong, up-to-date antivirus and spam filtering software. Keep operating systems, web browsers and software up to date. Malware is designed to exploit outdated browser plug-ins like Java, Flash Player, Adobe Reader or Silverlight. Back up all computer files on an external hard drive that’s not connected to your computer. In addition, keep a second portable hard drive at another trusted location or with a backup service. Don’t use free Wi-Fi at a coffee shop or hotel that doesn’t require a password or have trusted encryption. Keep passwords easy to remember but difficult to guess. Don’t use dates or pet names. 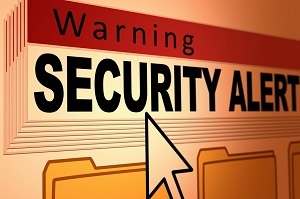 Don’t open unsolicited email, or email attachments, from someone you don’t know. If you have to download an email or a file from the Internet, scan it first. A good anti-virus software will do that automatically, but make sure it’s being done. If your files have been backed up regularly, connect your backup drive to a non-infected computer to check your files. If they aren’t infected, simply clean the infected computer of CryptoWall, and reconnect the drive to restore your data. This entry was posted in Halloo by Guest. Bookmark the permalink.